A Christian business is a powerful ministry. In fact, most Christian business people don’t realize the great impact for the Kingdom that their businesses can have. Ordinarily, that’s a question every Christian business person asks pretty regularly over the life of the business. Your organization has just completed some major effort, and you’ve taken a deep breath, relaxed a bit, and started to ruminate about the next challenge. At last, your business is now consistently profitable. Or maybe you’ve just completed the onboarding of a key employee. Even better, you’ve put the latest product/service/or system into operation and it’s doing great. You know what I’m talking about. At last, you’ve passed the latest challenge, and the plateau is here. 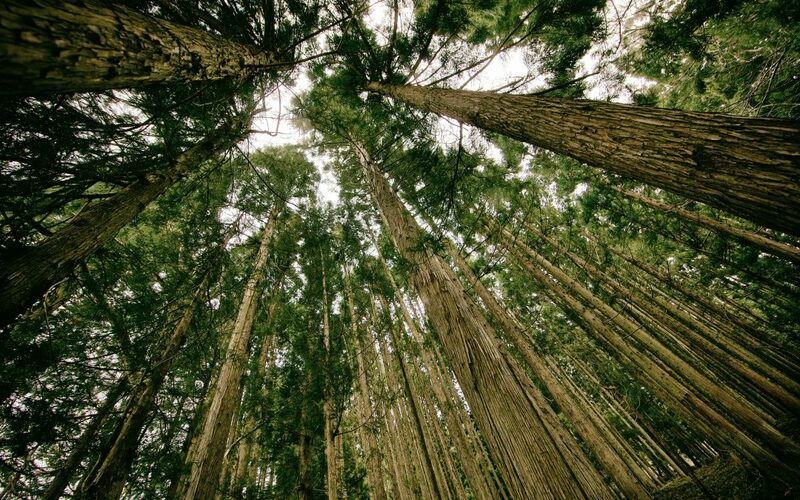 And now you’re sticking your head out of the trees, looking at the forest, and attempting to see the direction in which to travel. Let’s unpack that idea. First, can a business have a great impact for the Kingdom? It may surprise you that a business can and should have a great impact for the Kingdom. That impact is one of its fundamental purposes. When I did the research for The Good Book on Business, I discovered that Biblical businesses were created by God in his first words to Adam. And they formed the primary social and economic units for the entire Biblical narrative, from creation through the end of the New Testament. Our modern Christian religious culture has never recognized this. Instead, it relegates Biblical businesses to a second-class status. Chiefly, businesses can make money and give it to the religious establishment. At the same time, they do not get credit or attention for making a great impact for the Kingdom. In the Bible God created work, and by extension, business, in the first moments of creation. Before Eve, before family, before prophets, before scripture and before churches, God created business and established it as His primary venue to accomplish many of His purposes. A business is God’s first choice as a venue to interact with mankind and create a relationship with him. You will recall that God gave Adam his first job. He was to name the animals in the Garden. And then, God worked with him to accomplish it. That simple act set the precedent for how God works with mankind throughout the Biblical times and in our times. Your business can join Him in that process and have a great impact for the Kingdom. A business provides economic security for its owners and employees. This is one with which we are all familiar. But, what would happen if you changed your mindset and saw that economic gain as a God-given mission for your business? With that perspective, could you give renewed thought, time and money to have a great impact for the Kingdom? Would you have more energy for the task of multiplying the economic impact of your business? What creative ideas could you come up with? A business builds the faith of the owners and its key people. It is no coincidence that Abraham, the legendary example of faith, was also one of, if not the, largest business owner in the Bible. The ups and downs and constant challenges and decisions that come with growing a business forced Abraham to rely on God. He grew his faith in sync with his business. And as your faith grows, you will have a great impact for the Kingdom. A business is God’s first choice as a venue for the manifestation of spiritual gifts. The first two examples of the appearance of spiritual gifts in the Bible occurred in business environments. God gave Joseph the spiritual gift to interpret dreams. It initiated a sequence of events which led to him being the CEO of Pharaoh’s vast business. Bezalel was given the gift to work with “all kinds of crafts.” He was a craftsman, an artisan. He likely honed his gift in a sole proprietorship. These certainly are examples of great impact for the Kingdom. A business can be a conduit for God’s blessings of salvation. DO you recall Lydia? She was a businesswoman and was converted to Christianity. She brought her whole business with her. The same phenomena – the head of a business converting to Christ, and the entire household (all the family, slaves, servants, and employees) following him –– occurs multiple times in the book of Acts. What a great impact for the Kingdom! Back to unpacking the initiative, “Create a great impact for the Kingdom.” If you were to list that as the next big initiative, what would happen? What would be your next steps? Begin with more intense prayer and work at communicating with the Holy Spirit. You’re going to need all the help you can get, as this is unchartered waters for many. Start by seeking a closer walk with Him. Find out what it means for a business to have a great impact for the Kingdom. You are probably not going to get this in a sermon, or any teaching of the institutional church, so you’ll need an outside source of information. There are many books written about this. A good starting point is The Good Book on Business. Gather a support system. Find some like-minded Christian business people to support you in this effort. You may already have some executives with whom you can share your vision. If not, seek out a group of Christian business people who understand your problems and challenges. There are several organizations who provide this kind of experience. 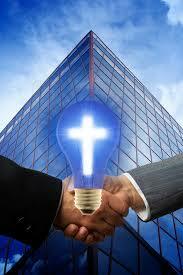 Christian Business Impact Groups is one option. In reality, you’ll probably make hundreds of changes in the policies, procedures, relationships, and culture of your business. As a result, please understand that it is not an event, but a lifelong process. You may never have a better opportunity to start than now. Your business has a destiny to make a great impact for the kingdom. Don’t let the opportunity to fulfill your business purposes pass you by. Begin your journey of having your business make a great impact for the Kingdom today! The Good Book on Business goes where no other book has gone. Your views on business will never be the same. The Biblical Business Course is a step-by-step course that guides you through the process of transforming your business into a powerful Kingdom entity. Christian Business Impact Groups are small groups which meet monthly, via video, to help each other grow their businesses and multiply their kingdom impact.